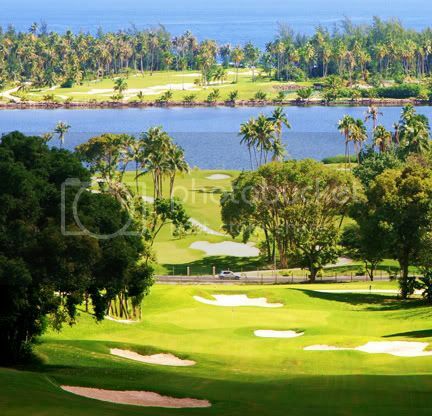 The Moorea Green Pearl Golf Club, on Moorea is a spectacular Jack Nicklaus designed course; the first golf course on the island in 35 years. From the championship tee, this 6,596 yard par 70 course promises challenges for every golfer from novice to expert. The signature hole on the back nines mountain side provides an incredible view of the course, the lagoon, and Mooreas sister island of Tahiti in the distance. There is a dress code on the course of: no jeans, tank tops or short shorts. You will need to wear a golf shirt and Bermuda shorts. You will also need shoes that are soft spike golf shoes or tennis shoes (no sandals). Previous Article Visit Tiki Village- BBQ, Torch Dancing, and more!